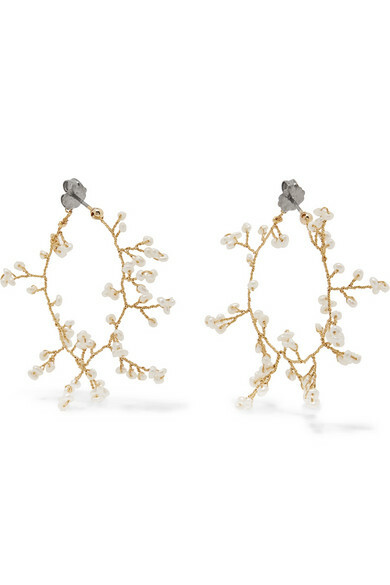 14 / Quatorze's earrings are crafted to look like pretty sprigs of gypsophila - otherwise known as 'Baby's Breath'. 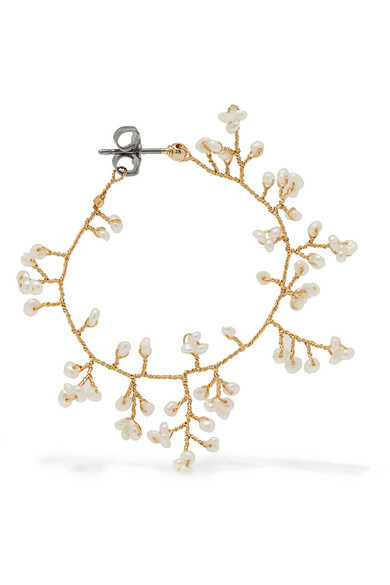 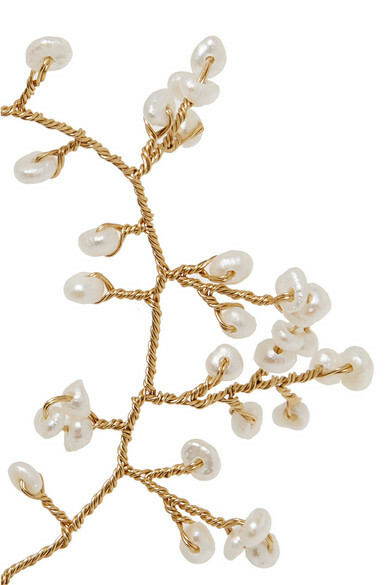 They're made from delicate strands of gold-plated brass with freshwater pearls that seem to branch out of each hoop. 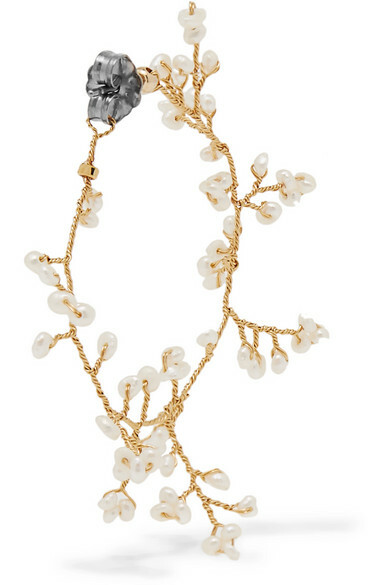 Keep the rest of your look simple with pastel shades and swept-back hair.